Ha-ha-ha-ha! Health food. Oh I crack myself up. Ok, maybe not “health” but certainly good for your tummy. And by “good” I mean, gut stretching, people may wonder if you’re expecting a bundle of joy in the near future type good. 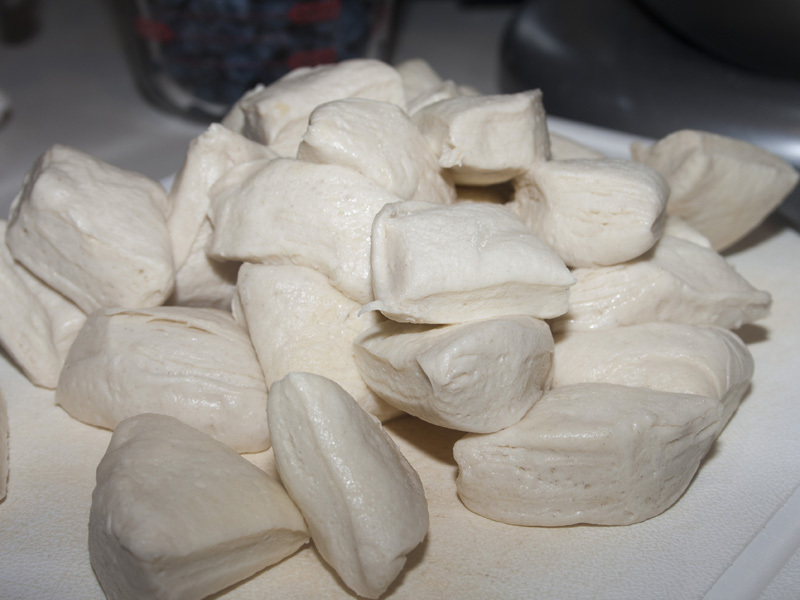 You won’t be able to stop eating this. 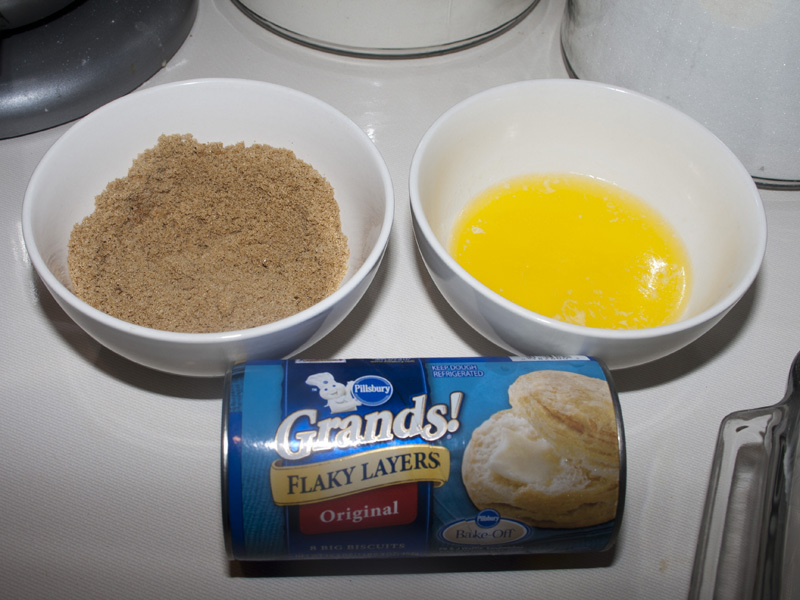 Start with a can of biscuits, some melted butter and a brown sugar/cinnamon concoction that is glooooorious! Cut up the biscuits until you have quartered the whole tube. Mmmmm. A pile of biscuit bites. Can’t beat that. Unless you do this. Dunk in melted butter. Then in the cinnamon sugar. Repeat for all the biscuits and place in a greased 9×9 pan. 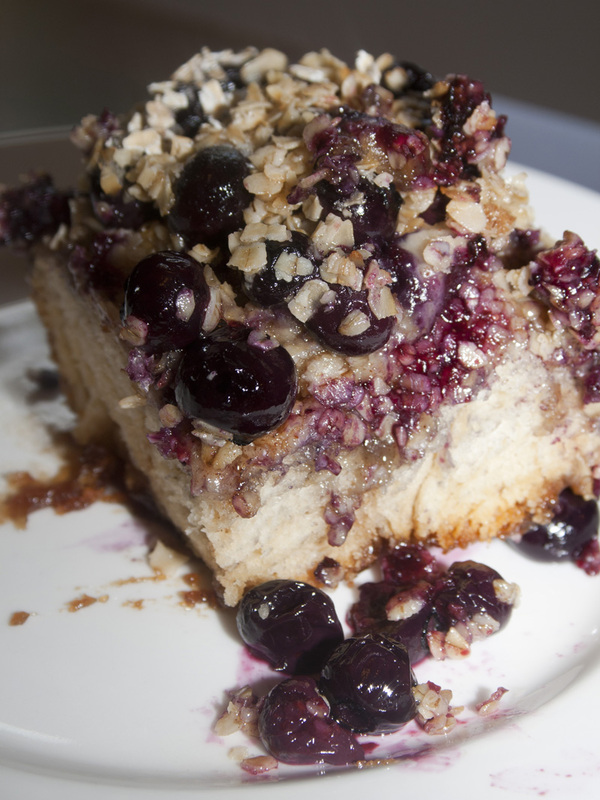 It’s hard to pick a best part of this bread, but for my money, it’s the blueberries. Mmmmm. Blueberries. 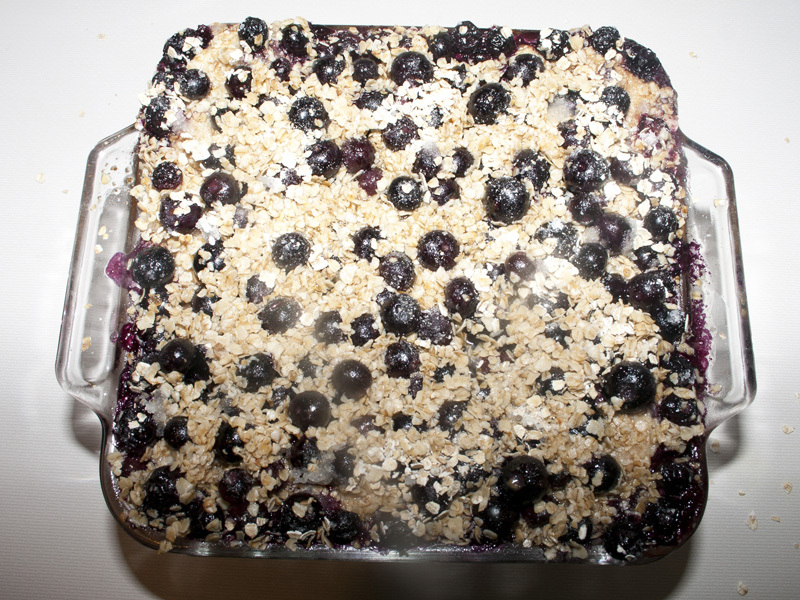 Did I mention the blueberries are tossed with sugar? 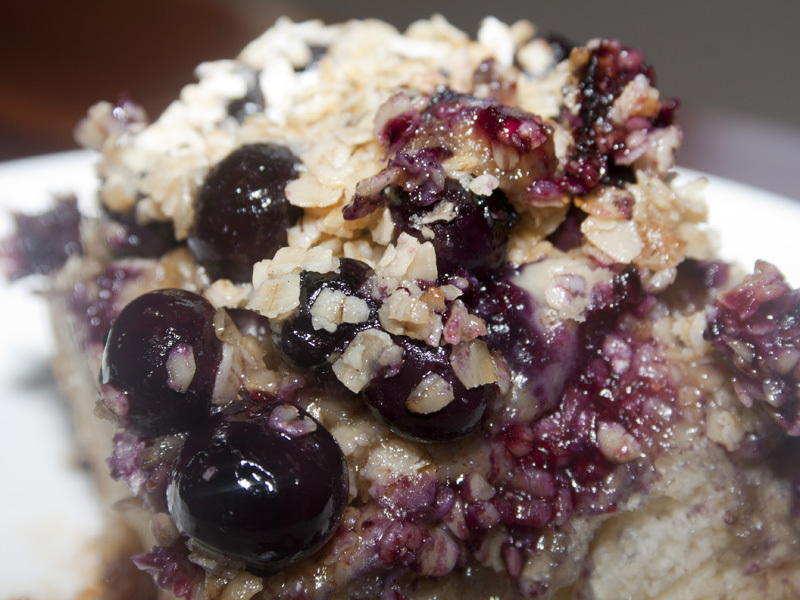 And topped with some more oats? Oh, and here’s the kicker. Take any leftover butter. Yes, the stuff you were dipping the dough into that got a little sugary and cinnamony in the process. Yeah, drizzle that on top. And bake to golden perfection. 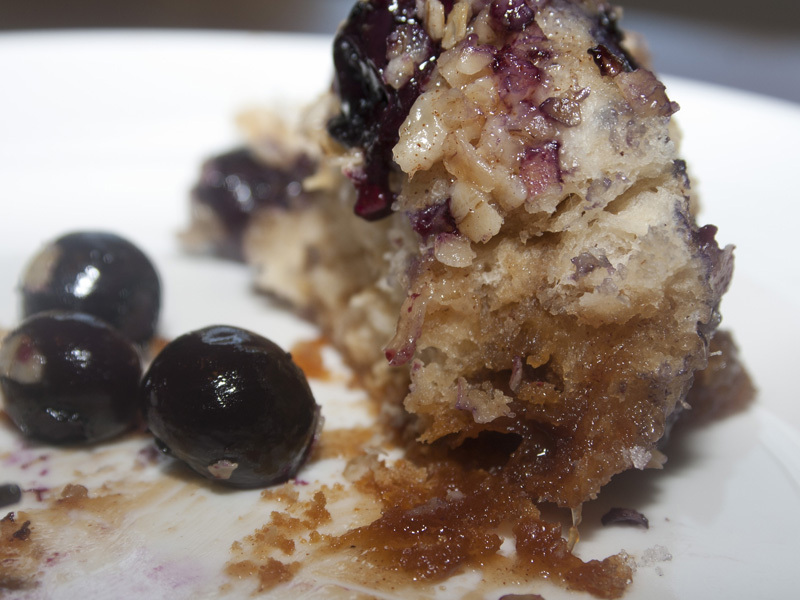 The blueberries pop a little and release amazing juice which makes the topping get all crusty and just incredible. 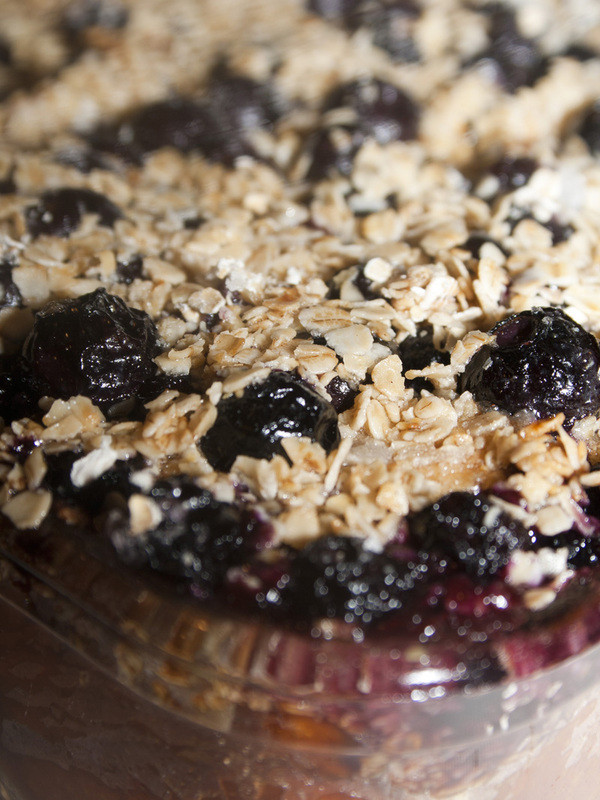 Now, I know I said the blueberries were my favorite…but, I lied. The edges of this bread are beyond deliciousness. 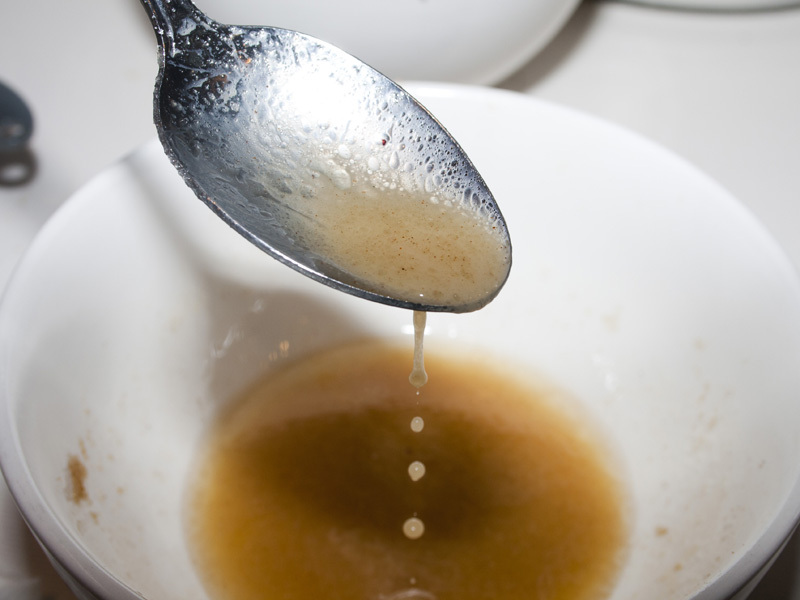 The sugar and butter get all caramelized and is so, so good. I mean, just look at that deep golden caramel crust. (happy sigh) Nom, nom, nom. This stuff was so incredible that one little nibble turned into eating a giant piece. As I was heading back for another slab I realized I was in trouble. Which prompted me to cut the remaining bread in half, transfer it to a plate and run (literally run) it over to my neighbor’s house. I knew I’d eat the whole stinkin thing if it remained in my house. And, turns out…I did. Eat it. All day long. The downstairs of my house is kind of set up in a circle. When I’m cleaning, I just walk round and round thru the living/dining/kitchen, picking up as I go, dropping it in the appropriate room on the next pass. Somehow, every loop happened to swing me by the pan sitting on the counter so I could pull another piece off. The thought occurred to me late in the day that this would be excellent served warm with ice cream. 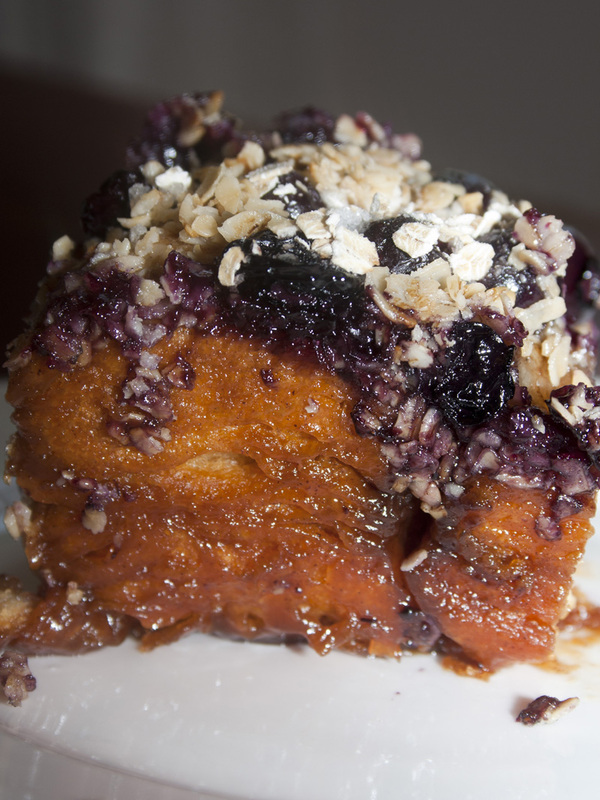 Of course, by the time I got the idea I was feeling a little ill from all the cinnamon sugar berry deliciousness. Adding a frosty treat to the mix was not an option at that point. I’ll just pass that idea on to you to try out. Make this as soon as you can. It is ah-mazing! 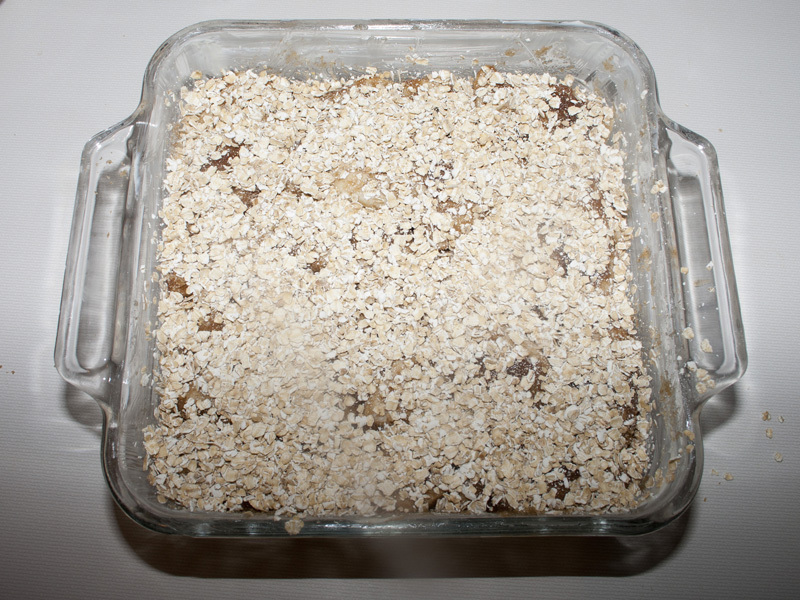 Generously grease a 9-inch square baking dish. 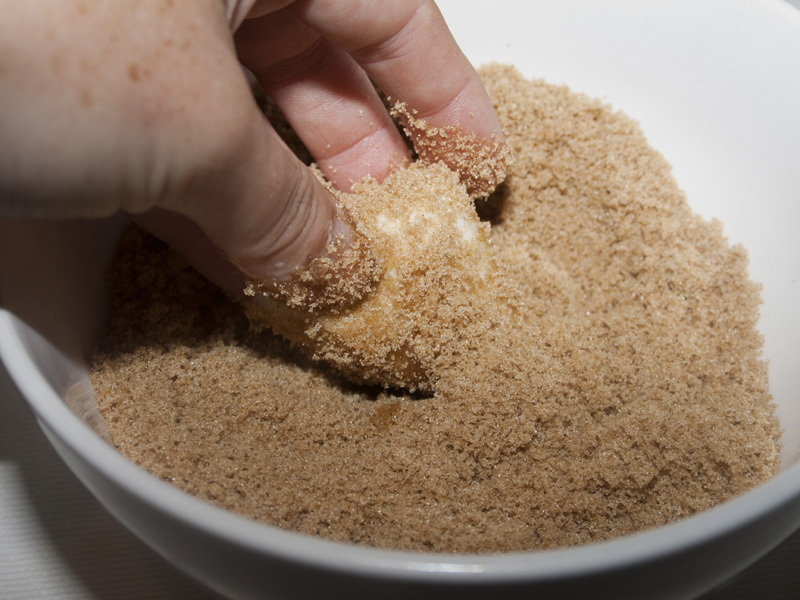 In a small bowl, combine brown sugar and cinnamon and mix well with a fork. 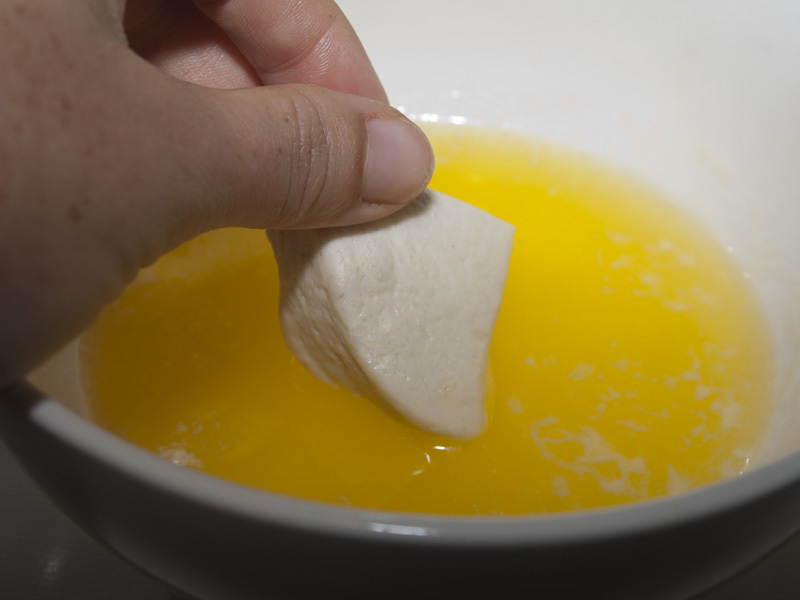 Separate biscuit dough. 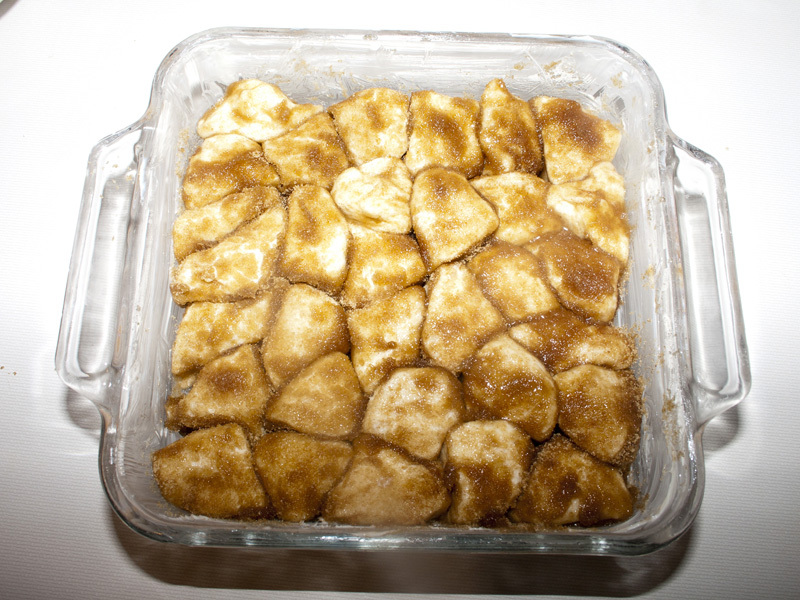 Cut each biscuit into quarters, and dip each piece in melted butter and coat with brown sugar mixture. 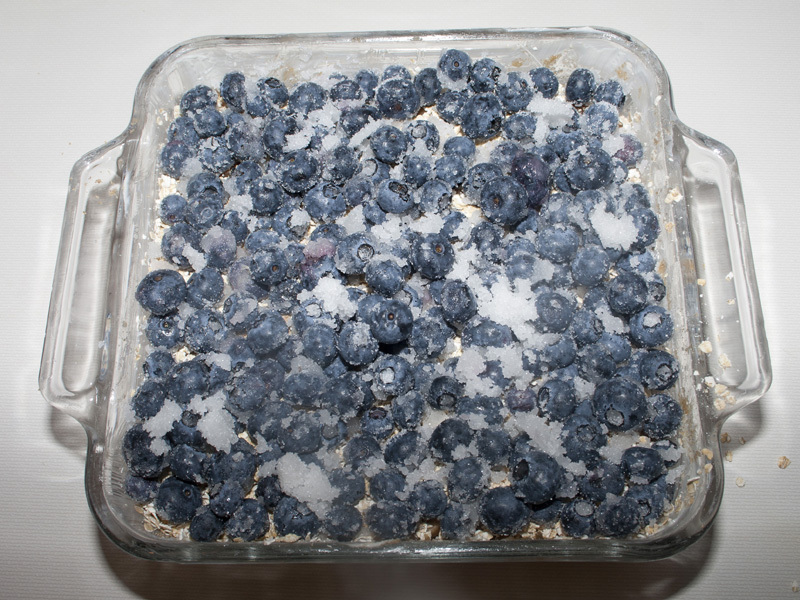 Arrange in a single layer in baking dish. 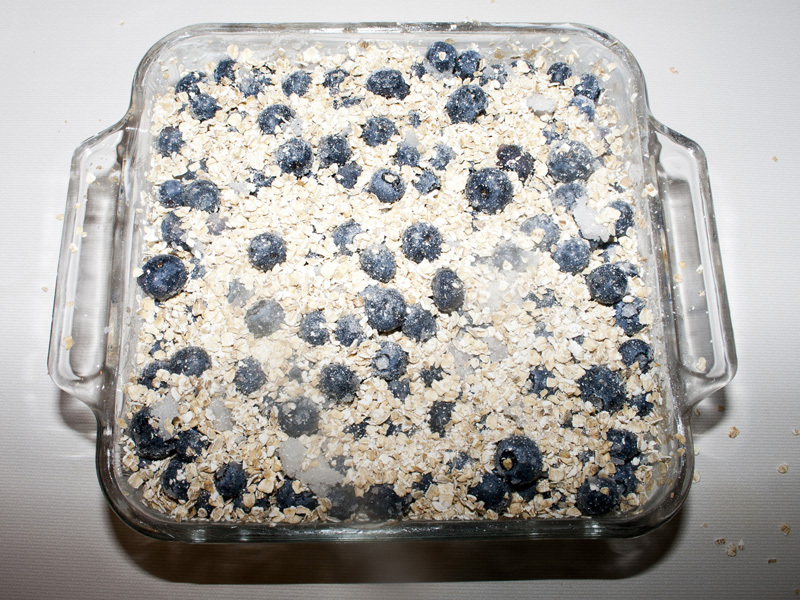 Sprinkle with 1/2 cup of the oats. 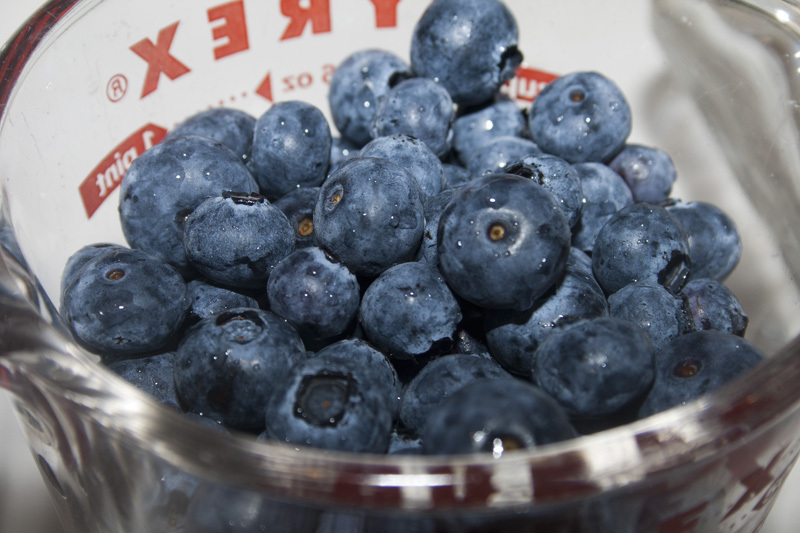 Combine blueberries and sugar in a bowl and toss to coat. 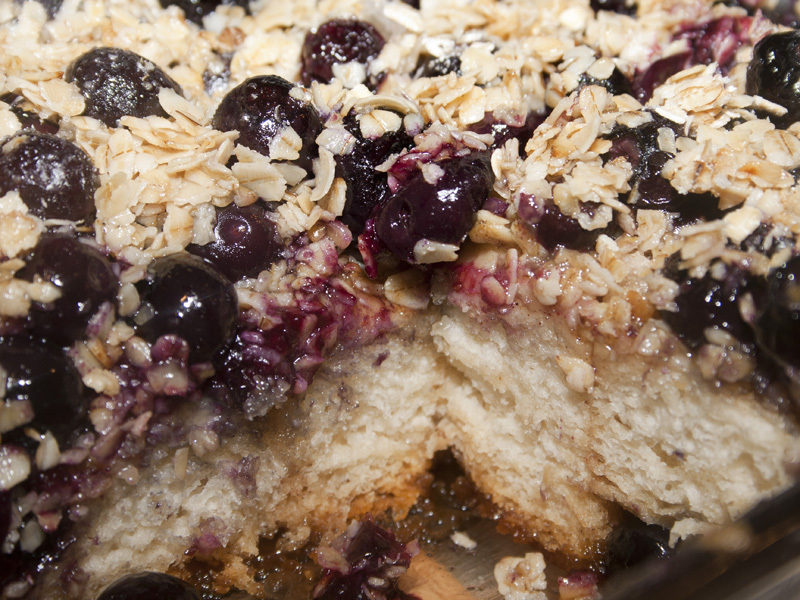 Spoon over oats and biscuits and sprinkle with remaining 1/2 cup oats. Drizzle remaining melted butter on top. Bake for 25-30 minutes or until cake is golden brown and center is done. Cool for 20 minutes. Serve warm. Wow… can I just say that it looks SO fabulous!! MMM! Thanks Bonnie. It is deeeeeelicious! Yum! My husband and daughter will love this. 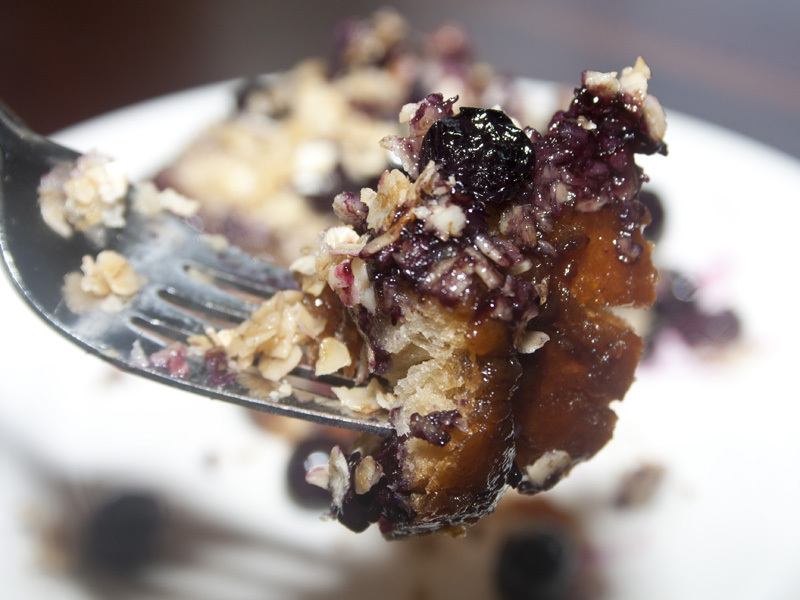 They are nuts about anything with blueberries! So yummy! What a good mommy/wife you are to cater to their favorites! Just got around to posting a few pictures today. 🙂 It was delicious! Saw your post! Great work! This is so amazing very easy to eat the whole thing and not relize it. Yummmmm!!!!!! !